Video of Will the Nikon D850 be my Next Camera? He claims the Nikon D850 is a clear winner in resolution tests, both on screen and in test prints. This isn't a particularly surprising result, given the 15+ megapixel advantage of the D850. The resolution differences, even after YouTube's heavy compression, are still visible in fine details like the fence line in his sample image. The resolution test doesn't go very in-depth, as he doesn't mention test results for different apertures, focal lengths, or classes of lenses- but given his very positive attitude to D850's performance, I expect he was satisfied with the performance. Moving on to dynamic range, Thomas tests the two cameras under identical settings, in a strongly backlit forest scene. Here is where Thomas breaks with the typical view of this camera matchup he declares the Canon a clear winner in dynamic range. He thinks the foreground's boosted details are muddy in the Nikon, and points out the "sharper" Canon image. I think there are a few issues with this test, including weather conditions, exposure settings, and post processing. Weather and exposure are intrinsically linked, and in this test, Thomas kept all the settings between the cameras identical. This would put the D850 at a disadvantage, as it is not being used at its strongest base ISO. Further, if the lightning conditions changed between shots, the exposures may be even less comparable. Finally, a number of comments pointed out that the lens may either be a bad copy, subject to shake, or focus was missed on the Nikon shot, all potentially contributing to the poor performance. Thomas mentions he still has a number of cameras to review, and that the D850 is a competent contender. It sounds like he is a bit unsure of the Nikon given its apparent disappointing dynamic range, but even he mentions something may be off about the testing. I haven't shot with a D850 yet, as I use a D810, but even given my older generation body, I've seen much more impressive shadow and highlight recovery from my files. I'm pretty surprised at the results. What do you think? Have you been surprised by a piece of gear before? I regularly watch and enjoy TH's Youtube content and 97% agree with his observations. Having shot both the Nikon and 5D4 my 3% disagreement kicks in now. Maybe TH got a bad sample or as he said bumped it or perhaps the lens had + or - focus issues. From ISO 64 to at least ISO 400 Nikon wins the DR/detail race easily. It's a pity he didn't use the latest Nikon glass, which would have fared better. Having said that, the lack of a suitable substitute for his Canon 16-35 means he was never going to switch to Nikon in the short term. It might be a different story when the Z-trinity is available. 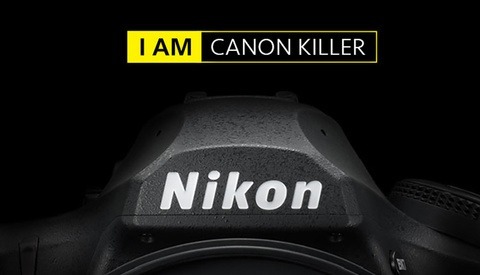 What is the point of starting yet another debate of "Nikon versus Canon"? Some invested in Nikon, others in Canon. It's two different systems. Any camera has their own advantages and disadvantages, there is no one which is 100% perfect. What is the point of comparing? Because as long as you have different brands, it's necessary for people to piss on each others' choices. For him it's not a mere debate; he's apparently testing out different cameras and will buy one at the end of it all (and actually use it for his photo business). Thats 3 mins of my life I won't get back. Thanks for playing though. I'm a Canon shooter and can't imagine the 5D4 beating the D850 in much of anything in the IQ department. I have x-t3 and gfx-50s ( jumped from x-t3 + Canon 5S MIV combo) and I gotta say the gfx is amazing. youtubers and wannabe pro landscape photographers with zero technical knowledge pretending to be reviewers on youtube... no, thank you. He says he'll be testing the Fuji GFX 50 next, after which this Canon/Nikon stuff will be irrelevant. My money's on him choosing that one. Don't know what I did wrong but when I shot my D850 with AF micro-adjusted 85mm f/1.8 @ f/4 next to a Canon 5D MK 3 with the 24-105mm f/4 @ f/4 I was amazed to find that the Canon image was sharper, despite the lower pixel count and the lowpass filter. Differences are negligible so who cares? I think it is down to the lack of anti aliasing filter. I believe the nikon doesnt have one so the dynamic range appears sharper but this can be a drawback in low light in the shadows because of purple banding. So in that case canon gets a head. And i may be totally off by my understanding of the anti aliasing filter. Every superhero needs a good sidekick. Thomas makes it clear that the D850 was amazing, but the lens was lacking in comparison to the Canon lens. You always have to consider the entire kit you will be using and not just the camera. Thomas is doing just that. I hope he finds the "dynamic duo" that he is looking for. Thomas' test was bogus. Its very obvious when he mentioned chromatic abberations (CA) issues that there was a lens issue. Sensors don't cause CA. That's the light bending apart because of the optical coherence of the light is being maligned. He brags about the obvious sharpness advantage of the D850, and then totally discounts it after one out of focus shot. All the while he has what appears to be a 70-200 2.8 hanging off the front of the camera while the camera itself is attached to the tripod. Proper technique and common sense go a long way in preventing bad information! Hey guys Thomas knows what a malleable file is and how far he can push it agreed? So he doesn't like the Nikon file I noticed in the video he using Nikon glass so maybe the lens is crapped out. Anyway I had several camera I just didn't get on with for one reason or another. Again for the cost of the camera being so cheap its bewildering why anyone would get so wigged out about a camera body. Get great glass and shoot on HAPPY mode. I followed Thomas's channel a long time ago. In the comments of the video about the Nikon D850 posted by Thomas several people, including me, we asked why not to use 64 ISO and which lens used? Obscure silence. I have a Nikon D850 and I have already clicked more than 80,000 images with it. I made images under the same conditions as Thomas's video and even worse. The results obtained by Thomas are simply ridiculous. Faced with the lack of information and silence of Thomas I come to think that there is some commercial game behind these videos. 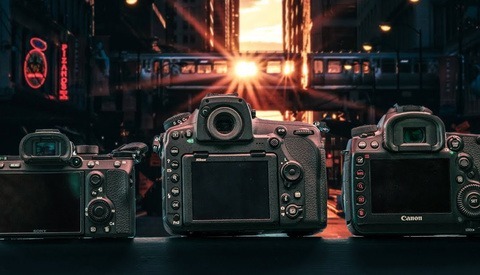 I've also been with Canon 5D mjark IV and Nikon D850 files on hand to compare and there is no way the results are as presented by Thomas in your video. These results contradict everything and everyone who has experienced the cameras in question. Thomas makes clear in his video that this was not a lab test, it was just a result that may or not be accurate and it certainly could not be described as a thorough test. He admits that it is just one photo that did not seem too good. That's all that the video put across and so no credance should be given to the comments. It's no big thing. I think he forgot to turn off the VR on Nikon lens. Will this guy ever be happy? All cameras have a compromise somewhere. Lol, the only thing funny here is Fstoppers giving this guy exposure. Not true, and a terrible test and bait whorish review. more than 5 Min. for nothing important. 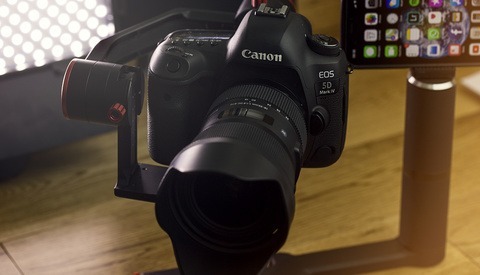 If the Canon 5D IV and the D850 are "Equal and Fair" then you should test the Canon 50 MPs 5DSR. What you are actually saying is that you have chosen the wrong camera for many years. Why so many MAYBEs... Canon is one of the best and Nikon is WHAT? Flip...Flop. Why not tell us about "It depends on the lenses..." before. You probably shouldn't be testing these cameras. Are you saying that, maybe YOU ARE A CRAP PHOTOGRAPHER. HUH? It is fun for you to get cameras to use for free, but not so much fun for us. People will watch anything these days. This dudes videos contain no substance at all. I guess its one of those lifestyle things.